A departure from her previous hit singles, “Devil Won’t Take Me Down” has an edgy country flair that conceals an important and powerful meaning. After the loss of her brother, Bailey James was faced with an option…succumb to the grief or face it head-on. Strong-willed in most everything she does, she chose the latter with the hope of encouraging others to do the same. The song, written by Bailey with Julie Downs and Steve O’Brien and produced by Jeffrey Teague and Jeremy Mayfield is hitting country radio and is available today (Friday, February 1, 2019) on iTunes, Spotify and all digital retailers. 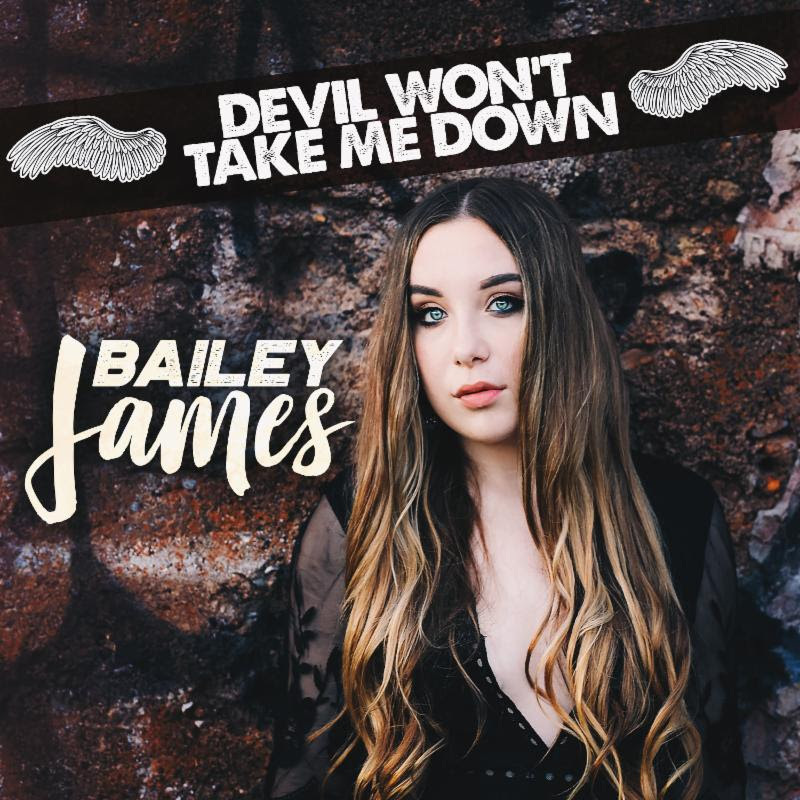 “Devil Won’t Take Me Down” follows Bailey’s last release to country radio, her first holiday song, “But If It Snows”. The single comes at an opportune time as program directors from all over the country travel to Nashville for Country Radio Seminar. Bailey will attend for the second time, interviewing and mingling amongst the biggest names in the business. She is gearing up for a full-fledge radio tour in support of the single, releasing her “Won’t Be Silent” campaign in a few months and also visiting schools across the country in support of the prevention of youth suicide. With over 145k followers across her social media platforms, this rising country artist is stamping her name in country music. Bailey James has gained positive feedback from renowned music critic, Robert K. Oermann, who said “I’ve liked everything she’s ever put out so far, and this continues her winning ways…she’s a master chef as a singer…” She has appeared and performed at the legendary venues such as the Bluebird Café, the Wildhorse Saloon and The Listening Room as well as the home of the Grand Ole Opry… radio station WSM-AM, and taken part in multiple CMA Music Festivals. Her passion for music can be heard in her powerful live performances, advanced songwriting, and a level of artistry that is well beyond her years. She has followed in the footsteps of country music icons, Rascal Flatts and Charlie Daniels by joining The Jason Foundation as their first National Youth Advocate. This foundation is dedicated to the prevention of youth suicide by raising awareness through education and empowerment. By teaming up with the foundation, Bailey has been able to spread their mission to the forefront of her social media presence. The genuine love she has for music and helping others shines through and promises to only grow stronger as this teen continues her musical journey. For more information on Bailey James, visit her website at www.BaileyJamesCountry.com.